Occupation: Principal at BrandBuilder Marketing, a Greenville-based Brand Consulting and Marketing Management firm. Current Chairs and Boards: SmartBrief Social Media Advisory Board, Social Media Club – Greenville. My Professional Background in 80 words or less: Military then B2B then B2C. Fortune 500s and SMBs. Product Management, Sales Management, Marketing Management, Brand Management, Operational Management, Social Media Management. Marine Nationale, T&S Brass, Microsoft, K2, Corante, SYNNEX, WOMMA, Hincapie Sportswear, LikeMinds, F360, Marketing Profs, SCHA, Furman University, Design Centers International, America’s Mart, Smartbrief, Centers For Disease Control, The Federal Reserve System, Red Chair Group. What I Do: I help companies develop, build, integrate, manage and measure social media programs, manage their reputation online and offline, and develop sustainable brands in an increasingly complex media landscape. I also train company executives and project teams in all matters of social media management and measurement, then help them build and integrate effective programs into every facet of their business, from Public Relations, business development and market research to Human Resources and Customer Support. Education: I hold an International Baccalaureate degree from the International School of Brussels and a BA degree from Furman University. 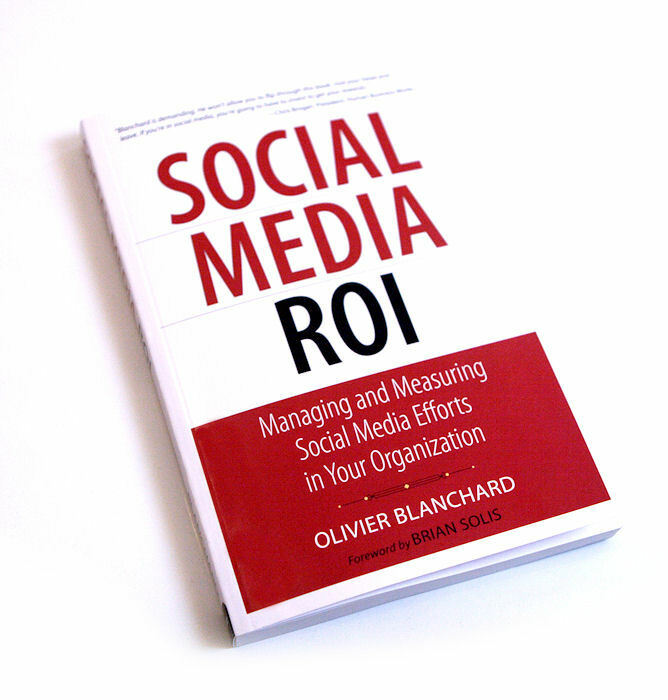 Oh, and I also wrote a little book titled “Social Media ROI,” which is pretty much a blueprint for companies looking to build social media programs that will actually yield results, not just fans and followers. If your favorite book store is out of copies, you can always order it from Amazon (click here). The next one will be about brand management in the era of the hyper-connected consumer. Other Interests: Innovation, Design, new collaborative tools, Triathlon, Cycling, photography, sailing, skiing, scuba, adventure travel, anthropology, geostrategy, writing, social media and business strategy. Random facts: I lived in Europe until the age of 17. I have always been fascinated by great Marketing and by the way some companies seem to understand that tying consistently delightful experiences with their brands always spells success for them. 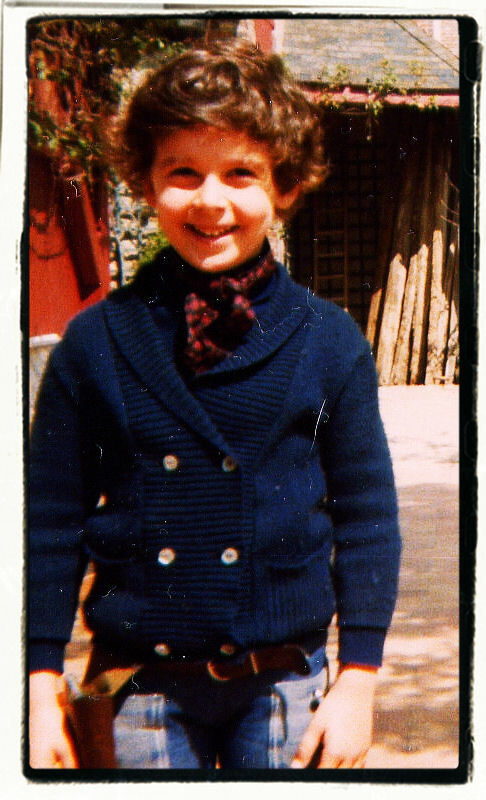 I was always drawn to print and TV ads, even as a kid. While the other kids were drawing robots, aliens and superheroes, I was designing slogans and ad campaigns for imaginary products I spent weeks prototyping out of molding clay and model materials. I have since managed to successfully bridge the gap between product ideation and design (my name appears on a number of very cool patents), and the marketing that helps accelerate broad product adoption – which makes me a little different in my approach to marketing than folks who come from strictly PR and ad agency backgrounds. I grew up in a culture which favored quality over quantity, substance over hype, style over fashion, exceptional over average, extraordinary craftsmanship over “made in China” labels, and originality over standardization. This early education in the unmatched value of true quality and authenticity has shaped every aspect of my way of thinking, from the projects I choose to work on to what products and brands I opt to invest in on a daily basis. Settling for average or “good enough” aren’t really options in my world. In my free time, I hang out with my family, participate in triathlons, and take photos or anything and everything I can get my hands on. I can hold my breath for 3 minutes, 12 seconds. I watch way too much television. I am a movie-going fiend. I cannot be away from wireless internet access for more than an hour without going into seizures. I do not eat meat. My organic smoothies are legendary in some circles. I am definitely not a defensive driver. My favorite place to unwind is the Cote D’Azur. I am addicted to travel, portrait photography, social media tools, gadgets and great food. I am neither a social media guru nor a social media expert, but I do know a thing or two about the space. 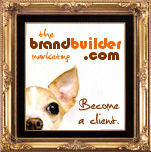 My wife and I own two chihuahuas and a golden retriever – one of these chihuahuas is Chico, the BrandBuilder mascot. Our kids have nine pet rats, which are not Brandbuilder mascots. My favorite film director is by far Terrence Malick (although David Fincher and Steven Soderbergh aren’t far behind). My favorite books are probably The Road and Fight Club. (I read Zola and Hemingway… I just prefer McCarthy and Palahniuk.) My first job out of college was with the Fusiliers Marins (French Navy Marines). I am planning vacations in France, Costa Rica and Thailand in the next two years. Cycling for hours on end is one of my favorite ways to unwind when no beaches or ski slopes are available. I always count in French (something about having learned my multiplications tables before knowing how to speak English). Turnons: Anything innovative, the sound of genuine laughter, the smells and sounds of the South of France, conversations with free-thinkers, anything made or crafted rather than manufactured, a real night sky (the kind you get at sea), vision, talent, courage, honesty, integrity, imagination, enthusiasm, good manners, genuine smiles, great ideas. Turnoffs: Groupthink, substandard customer experiences, uninspired advertising, lousy customer service, artificially flavored foods, rulebooks, artificial looking people, poorly disguised bulls**t ,bad grammar, cheaply built products, fearful narrow-minded people, social climbers, hypocrisy, selfishness, racism, sexism, greed, fear of failure, intellectual laziness, self-righteous armchair quarterbacks. Wow, I don’t know why there are no comments on such a fascinating bio. Honestly, this has got to be one of the most, not only interesting, but also thought-provoking and inspiring bios I’ve ever read. I agree with all of your sentiments about life in general and appreciate a lot of the statements you make here. I’m glad to see there are others out there with keen perspective and solid opinions. Merci et bravo! Merci beaucoup. Great blog, by the way. Keep it up. interesting bio – for the most part spot on – damn shame we don’t get to elaborate on a day to day basis anymore. i would love to bounce some ideas off of you some time… send me an email sometime @ my yahoo address…. hope you are doing well and i thought you should know i just had one of the best steaks in my life a few days ago — 12oz. filet mignoncooked Pittsburgh style – delicish…. I wish I had the same writing energy !! Nice blog. Found it by accident, but I’ll be back. Just started mine–take a look when you get a second. I’d like to add you to my Blogroll. Jean-Philippe mentioned ‘writing energy’. Spot on. Great description. Glad I read. Je suis a’ Boston, transvase’ de la Cote D’Azur. Tes ecrits son tres pertinents et tres bien presente’s. We at haul have only recently discovered you, your thoughts & writings pop up often in our meetings. I found your blog via your recent posting on the growth of the mobile market at a LinkedIN group. Like finally, it’s catching on. As an analyst at the Aberdeen Group in Boston in 2000, I tracked global mobile trends. This was smack dab in the middle of the Internet Boom/Bust. Many of the mobile ideas getting traction were bandied about back then, but went no where fast, in no small part due to the stubbornness of service providers, Sprint, VW, etc. etc. etc. Do you have a mailing list? Iif so, please include me. I would be interested in all things directed toward BBoomers and the mobile market. Love the Bio & Randomness! Enjoyed reading the friendly banter about how la French & ze Germans are like oil & water, etc. LOL. I know all too well having traveled and lived in those places. Crumbs, I came on WordPress this morning just to check my stats and you had top billing, writing about someone who had been foolish whilst Twittering (a subject I myself had touched on recently). Here I am, a good 45 minutes later, still reading through your pages and getting drawn into all the comments. What a great site. As a fellow Flickr-er (!) I’ll also now be checking out your lovely photos. I guess you could say therefore that you have a new fan! I’ve been following (lurking) your blog for awhile now. Really (really!) enjoying your style and perspective on all things branding. I just hit the 50 post mark on my blog, which covers branding and design for the screen- motion graphics & broadcast design. Keep up the good work! Let me know what you think? 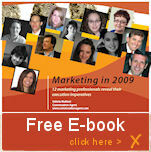 on August 3, 2009 at 10:58 » Blog Archive » Are You Working Every Day? OMG… I am so happy I “stumbled” upon your blog. nothing really happens by accident and this discovery is right on time!! Your information here is priceless! Thanks for sharing! BTW… you have also convinced me I need to update my bio on my blog. I just wrote your biography in 58 words for the Rosey Awards book. Made me want to look you up and, in the event that we cross paths, invite you to coffee. This is by far the most intriguing Bio I have read on a Blog. The resume tag cloud is great and really hammers home what/who you are as a professional. I’m glad that I have found your blog and have subscribed to the RSS. Hopefully I’ll be able to use your tips on my own blog (still in infant stages). Hey! c’est en faisant une recherche sur ton homonyme/économiste que je suis tombée (c’est le cas de le dire!) par hasard sur ton site; je l’ai consulté avec attention. Des arguments trés intéressants sur lesquels on ne peut être que d’accord. Bravo à toi! Thank god I live in the UK now. J’aime les personnes cultivées, originales et ouvertes d’esprit et je trouve que vous étes un mélange de tout cela. Frenchies are arrogant maybe but they have good taste.I like Americans too because they are cool despite the fact that they don’t know much about the rest of the world. I think that every people is a mix of qualities and defaults but we can be better learning from each other. Indeed. Agreed on all counts. c’est drôle, depuis le temps que je lis ton blog, c’est la première fois que je tombe sur ta bio. très sympa! merci pour le insight et le ton, toujours très Parisien (même si le texte est en anglais). J’ai un ton Parisien? 😀 Ce doit etre pour ca que je vexe parfois certains de mes lecteurs alors. Je comprends tout, maintenant. And I thought I lived an interesting life! Great stuff Olivier. We are in similar businesses, but I am on the west coast. 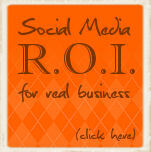 I also am specializing in helping local companies get exposure on the internet. It seems to be a vastly overlooked niche. I look forward to hearing / seeing more of your posts. I always like to learn more from everyone I can. I like the genuine spontaneity here ….great synchronization of the brain and heart….. I am a qualitative researcher…practicing in UAE (Middle east) and just happened to bump here..guess will keep coming back and knowing more ! wish cooler heads would prevail…hugmamma. on October 28, 2010 at 22:46 Readers and Friends Share Their Desks! 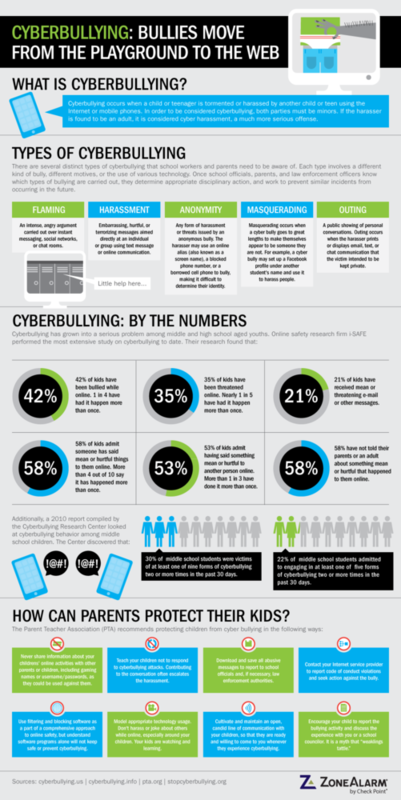 on March 16, 2011 at 02:59 MCGASIA » Blog Archive » What are we communicating?